Back in Iron Man 3, the Mandarin boasted how Tony Stark would never be prepared for him. How the armoured Avenger would never see him coming. Well invisibility is a two-way street! And if Tony Stark had worn this armour instead, his third movie would have been a helluva lot shorter. Prepare for the Jaime Foxx Iron Man armour! 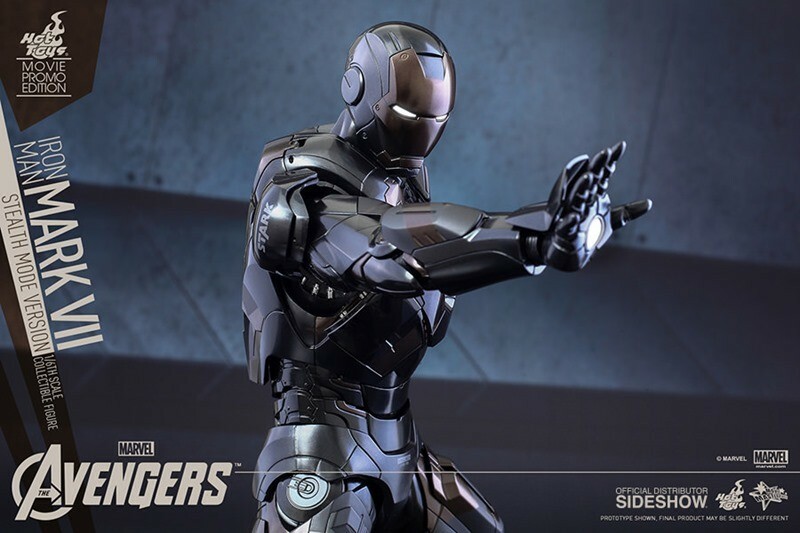 The Mark VII (Stealth Mode Version) Collectible Figure is highly detailed featuring multiple layers and various shades of metallic and matte black color with digital camouflage design, translucent black chest armor and articulated flaps on back of legs, Stark Industries decals at various parts of the armor, LED light-up function, interchangeable armor parts, and a specially designed dynamic figure stand.